I am proud to have been endorsed by these organizations, and look forward to working to further their causes in Harrisburg. "Congratulations! As a result of the action taken by the PSEA-PACE Board of Directors, it is my pleasure to inform you that PSEA-PACE is recommending your candidacy for the Pennsylvania State House District 92 in the 2018 primary election. On behalf of our 181,000 plus members and over 1.5 million school children served by our membership, we thank you for your commitment to public education." 35,000 Americans are killed every year by gun violence and thousands more are injured. hand with common-sense solutions to reduce gun violence. • Doing more to keep guns out of the hands of felons, domestic abusers and people with dangerous histories, knowing that respecting rights and protecting people go hand-in-hand. • Common-sense public safety measures make our communities safer and save lives. CANDIDATE DISTINCTION- not official endorsement from Everytown. "I have developed a ratings system for Congress and state legislatures that scores actions taken on firearms legislation from a pro-regulation point of view. I then use those ratings to inform lawmaker profiles and candidate endorsements for sitting legislators that are doing good work on gun safety and challengers who would provide an improvement over the status quo." "Run for Something will help recruit and support young diverse progressives to run for down-ballot races in order to build a bench for the future — the folks we support now could be possible members of the House, Senate, and maybe even President one day. We aim to lower the barriers to entry for these candidates by helping them with seed money, organization building, and access to trainings needed to be successful." Pennsylvania NOW is engaged in working to realize a broad vision of progress for women and their families and we work tirelessly to promote constitutional equality, combat systemic racism, advocate for economic security and justice, end violence against all women, agitate for reproductive justice, push for immigration reform, and fight for LGBTQ rights. We appreciate your support and commitment to advocating on behalf of our mission and supporting the communities we serve. In the Year of the Woman, we are proud to support such a qualified candidate for elected office. Please know that your race alone is inspiration to so many women and young girls across our city as we strive for shared leadership in a state that ranks third to last in its number of women elected officials. We know that your future in office will increase those numbers and give women the platform and policy they deserve. #VOTEPROCHOICE is a radically inclusive nationwide political engagement platform dedicated to identifying and supporting pro-choice champion candidates up and down the ballot. #VOTEPROCHOICE was founded in 2016 as a partnership of Democrats.com, National Institute of Reproductive Health Action Fund and Act.tv, #VOTEPROCHOICE provides an innovative pro-choice voter guide to mobilize pro-choice voters to #VOTEPROCHOICE in every election everywhere. 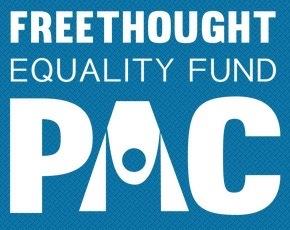 The FEF PAC is affiliated with the Center for Freethought Equality, which is the advocacy and political arm of the American Humanist Association. Achieve a level of support in Pennsylvania legislature and among state elected officials which will ensure access - both the right and funding - to sexuality education, family planning, and abortion services for women, men and teens. Elect those who see women as their own decision makers with respect to childbearing and sexual health. The Capital Region Stonewall Democrats are a Political Action Committee, an organized group of lesbian, gay, bisexual, and transgender (LGBT) citizens and straight allies in Pennsylvania’s Capital Region, including Harrisburg, Lancaster, York, and nearby communities. The mission of the Capital Region Stonewall Democrats is to advocate equal rights for all people, regardless of sexual orientation or gender identity. Keystone Progress is Pennsylvania's largest and most effective progressive organization with over 250,000 email subscribers. The York County Young Democrats set forth to promulgate the platform of the Democratic Party, promote the common good of York County, and foster the development of the next generation of Democratic leaders. For PA House District 92, YCYD is endorsing Shanna Danielson. We agree with her on key issues - such as gun control, climate change, and funding for public education. We admire Shanna for her work with Moms Demand Action. Congratulations! You have been named to the 2018 Champions List by the Progressive Change Campaign Committee! We’re honoring candidates around the country who are committed to taking on economic and social inequality and fighting for the needs of working families. We want to recognize your leadership by highlighting your race to our million grassroots members.